As most of you know, I think life is all about balance. I even believe that indulging every once in a while keeps you on track with your diet. However, when I indulge I love to workout to counteract my gluttonous behavior. I typically decide to do an intense workout in the morning and the next day. The morning of Thanksgiving I decided to do a pretty steep hike with my wife. Today I have something planned that is not so fun. Let’s get into it. 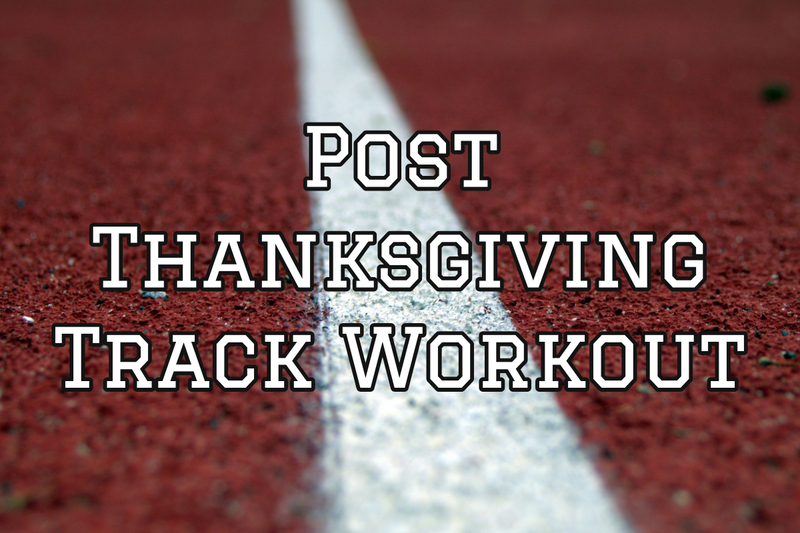 Here is an intense track workout you can try after Thanksgiving. *Please don’t get mad at me if you end up spewing out some turkey and stuffing from the day before. Head over to your local highschool/college track. First do a dynamic warmup and maybe jog the track slowly once around. Once you are all warmed up, this is the actual workout. You keep going with that pattern with no breaks for a total of 5-10 laps. Really push yourself and do as much as you can. This workout will leave you huffing and puffing. I can guarantee it will make you feel a little better about yourself for what you ate the day before. As always, if you have any questions shoot me over a message on our contact page.